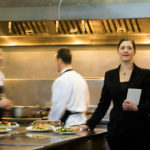 With a team of professionals dedicated to foodservice executive search, Torch Group has been able to successfully fill hundreds of senior positions. And because we only accept a limited number of engagements, we have the resources and relationships to find the perfect professional in a timely manner. Torch Group has specialized in high-level placement of executives with marketing and sales experience in Foodservice organizations around the country. Our industry knowledge, experience, and connections have provided us with an incomparable network.